Throwing memorable birthday parties is what we do at GameTruck. From the moment you get on the phone to the moment we pull away, we want every part of your experience to be easy and hassle-free. At GameTruck Richmond, we know that you have a lot of choices, but we also know that your child only has one birthday a year. Let us help you make it special. More engagement makes your event more memorable and hassle free. The most popular birthday party, the video game party is a favorite in Richmond. Kids from ages 6 and up love to play games with their friends. 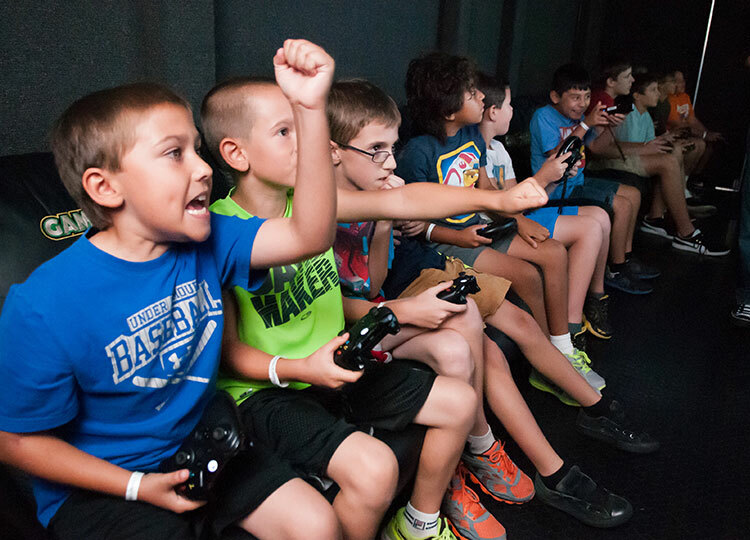 Featuring state of the art technology, 80+ games exclusively, for you and your guests, GameTruck Richmond will deliver the ultimate video game party to you. A GameTruck video game party is more than just video games however. Light and sound make it a party, while our staff engagement makes it memorable. Are you looking for a fast paced, action oriented activity that captures the tension and excitment of team based video games? Step inside the video game and know what it feels like to play the mission in real life. 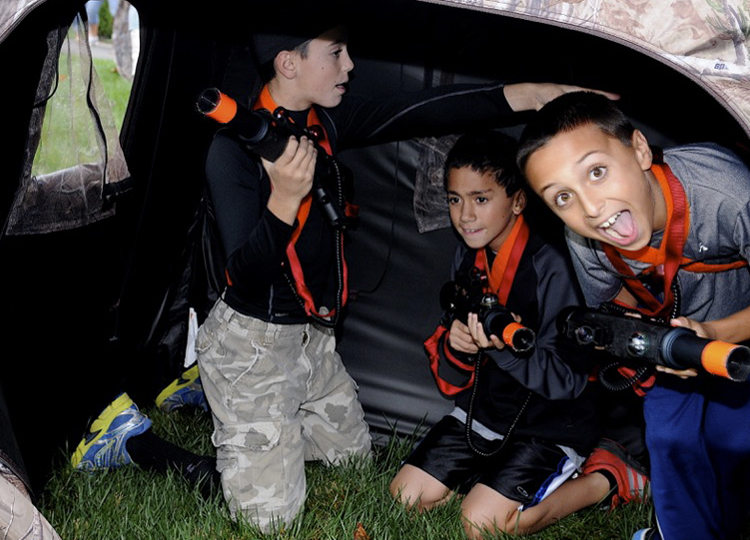 GameTruck Richmond specializes in tactical laser tag, making it fun and exciting to compete, and complete missions with friends. Our knowledgable staff know Richmond and they are experts in setting up fun battle arena's practically anywhere. The latest outdoor activity from GameTruck Richmond, is one of the fastest growing parties in the Richmond. 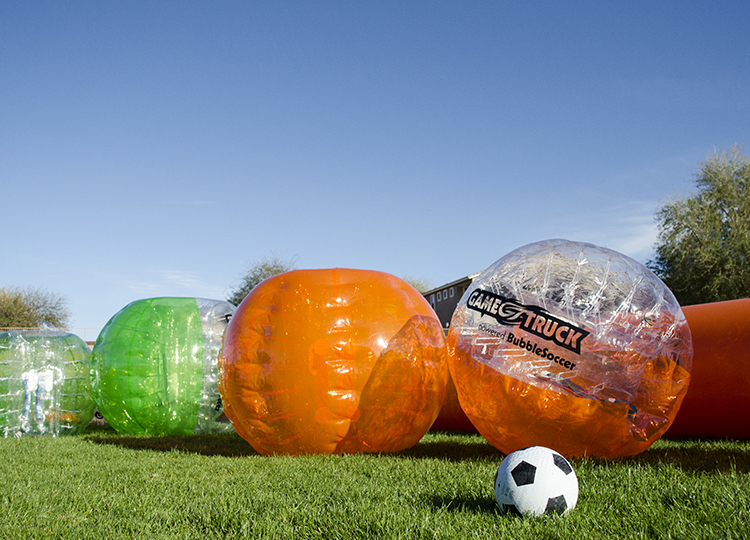 Climb inside our giant inflated "bubbles" and get ready for some good old fashioned slap stick soccer fun. Great for kids of all ages and beyond. Give Joseph Korzeniewski a call and let him show you how you can be the ball!